Just press the button on the handle to do self mixing, easy and convenient. Mute mixing impeller and sealed mug cover, no need to worry about liquid splashing. stainless steel and food grade plastic made, safe and durable. Material: stainless steel/food grade plastic. Battery requires: 2 x AAA battery (NOT included). Dimension: approx. 16 x 8.3 x 6.4cm. Volume: approx. 400ml. Weight: approx. 330g. Nice Product. 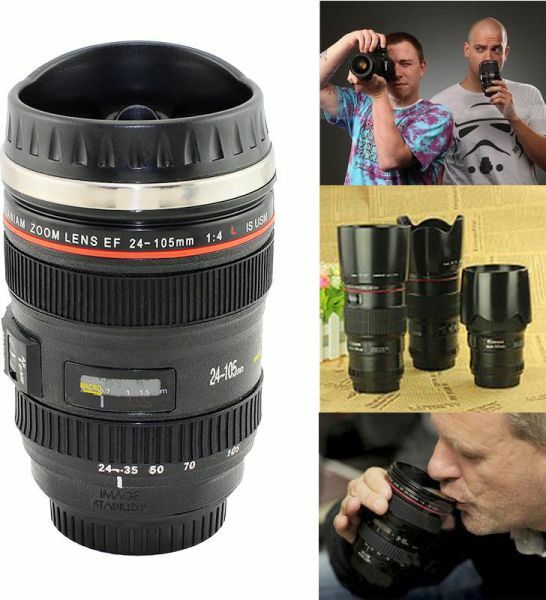 It looks like Canon Camera Lens. haha.